The Emirates Institute for Banking and Financial Studies (EIBFS) organised 1,043 educational and training programmes during 2018, an increase of six per cent over 2017, training 26,206 participants of which 6,489 comprised UAE nationals. During the past year, the Institute conducted 616 programmes in the annual plan category, as well as 201 training insurance sector programmes and 116 e-learning programmes, reported Emirates news agency Wam. EIBFS also hosted 27 specialized workshops that drew the participation of 3,268 trainees, including more than 1,000 UAE nationals. These programmes were designed to meet the training requirements of the banking and financial services sector and develop the qualifications of professionals in the insurance industry. Jamal Al Jassmi, general manager at EIBFS, said, "The growing number of participants in our programmes reinforces the Institute's position as one of the key banking and finance sector educational institutions in the region. We have seen a significant increase in the number of Emirati participants, which is in line with our commitment to supporting the UAE government’s Emiratisation efforts in the country’s banking and finance sector. EIBFS continues to make focused efforts in training qualified national cadres to achieve a balance between the public and private sectors." He added, "The UAE government has introduced several initiatives to aid Emiratization in the banking sector, which is the largest industry in terms of recruiting citizens. These initiatives include raising the maximum limit of pensions for nationals working in banks and providing study leave, among others. Such efforts will address any concerns that UAE nationals have about venturing into a career in the banking sector. “The insurance sector is another industry where Emiratization is a key concern and despite the efforts made by the Ministry of Human Resources and Emiratisation, the expected numbers are yet to be achieved. To reduce the gap, we have introduced dedicated insurance related courses to empower UAE nationals with the required skills." With banks stepping up their digitalization drive, EIBFS is actively working to integrate financial technology (Fintech) and artificial intelligence (AI) into its training plans. The Institute has allocated 28 percent of its 2019 programme schedule for Fintech and AI. Speaking about the implementation of smart initiatives, Jamal Al Jassmi said: "Digitalization is the new buzzword across industries. The implementation of technology-driven initiatives is the norm in the banking sector. We have witnessed the shift and the growing requirement of banks today to hire individuals equipped with the right digital knowhow to excel in the industry. "Smart transformations, including the use of AI, blockchain technologies, and smart mobile applications, among others, are being incorporated by financial institutions. Although I do not foresee a major drop in the sector’s manpower requirements, I believe it has become imperative for banking aspirants to acquire new skills to be able to adapt to the new technology." 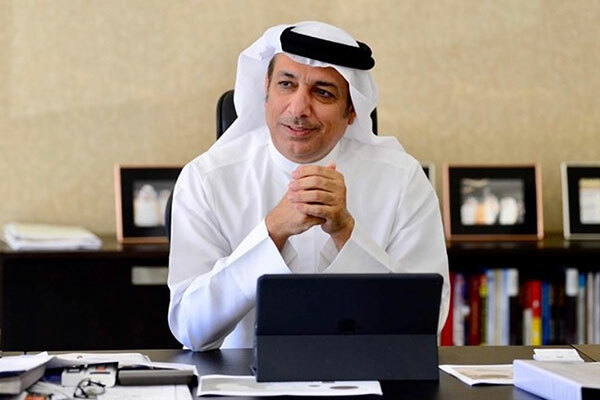 Al Jassmi pointed out that the next phase of adoption of AI technologies by the UAE banking sector will be in niche fields such as cybersecurity and financial management. "There are also a number of challenges facing the banking sector today, such as the cost of replacing old technologies, big data and insights and data security," he noted.